**Full English user manual download available online. Get access to everything that you need with the all new Samsung Galaxy S7 Edge. The Edge on this new device accommodates 9 panels, so that you can have access to everything. You can purchase this incredible device from Handtec. Tasks such as calling a taxi or getting update on sports was never simpler than this. With the Apps Edge you can create a short cut for at least 10 apps and folders. Get everything you need quickly on the Edge. If taking selfies is important the camera can be a short cut or it can be a particular app or memo or even calling your mum! 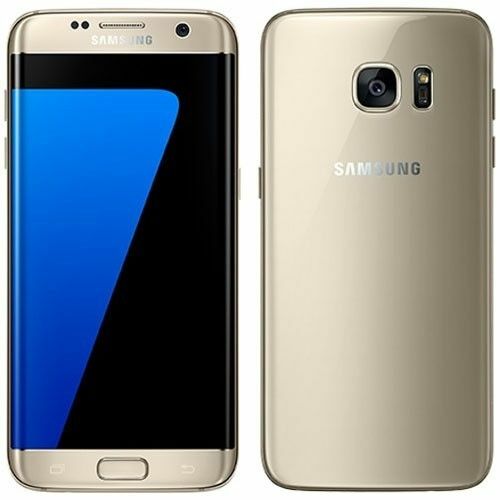 The all new Samsung S7 Edge features a sleek design along with a large LCD display. The front and back is elegantly curved to give you a beautiful look that is easy to use. For such perfect and precise curves, Samsung used the 3D Thermoforming process. Under this process the 3D glass is melted. The 3D Glass combined with curved metal alloy gives a strong uni body. The Dual curve on the front and back of your Samsung Galaxy S7 Edge gives it a spectacular grip and makes it comfortable to hold. From the start to the end you will get a grip that is so satisfying that it wont let it go. You should not panic if you put down your phone on a wet surface. Even if you drop it in the water you can carry on using it as your S7 Edge has been awarded with an IP 68 Rating. Play games by the pool or post selfies on the beach. Your S7 Edge can stay in 1.5 meters of water for up to 30 minutes. Use the Spot Light feature in the Beauty Mode and highlight those features on your face that stand out. For different effects you can also adjust the strength and spot light. You will also find some attractive gaming tools. Among them is game play recording. When you are at the top of your game, you will always want to share it online so others can see your performance. Your super fast S7 Edge features a powerful hardware . The high performance processor is designed to even handle all the additional data with microSD card. The bigger battery on your S7 Edge also offers a bigger battery. With your Samsung Galaxy S7 Edge you can get a expanded memory as compared to its counterparts. Your S7 Edge features a microSD slot so you no more need to delete any file, photos or even videos for a long time. With a longer battery life and bigger batteries you can watch your favourite TV shows, movies and music . Use the batteries to their full potential with the custom CPU and highly advanced GPU.